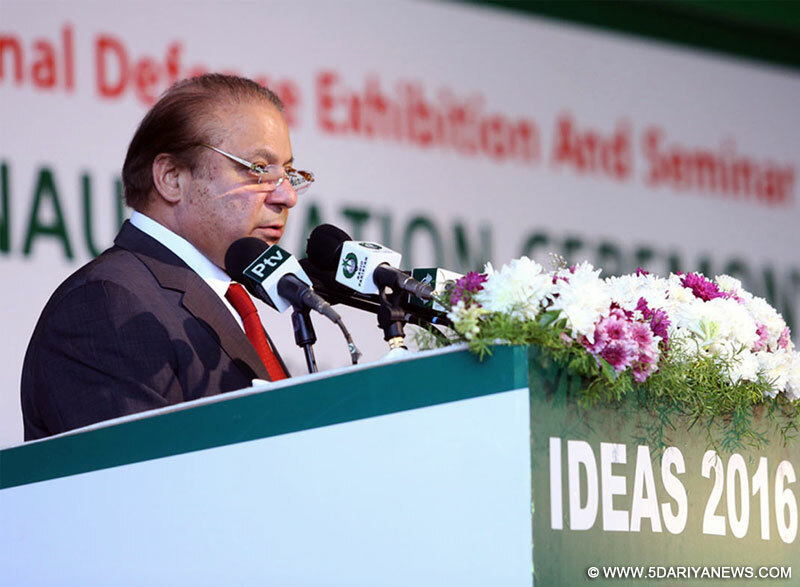 Prime Minister Nawaz Sharif on Wednesday inaugurated Pakistan's fourth nuclear plant, Chashma III, a joint collaboration with China that adds 340 megawatts to the national grid as part of the government´s efforts to end a growth-sapping energy deficit.The Chashma-III reactor, in Minawali city of Punjab province, is the third built as part of a collaboration between the Pakistan Atomic Energy Commission (PAEC) and China National Nuclear Corporation (CNNC).The country´s first nuclear plant was supplied by Canada in 1972, with an installed capacity of 137 MW. "Today we have crossed an important milestone in the journey to free the nation from scheduled power cuts. I am thankful to Allah and congratulate the entire nation," Sharif said. He also took a shot at the opposition and said the politics of sit-ins will lead the country nowhere and those doing so must refrain from it. "Have mercy on this nation, your sit-ins are proving destructive for this country," he said in a thinly veiled reference to Pakistan Tehreek-e-Insaf protests.Chashma IV nuclear power plant, which will be completed by 2017 and Karachi Nuclear Power Projects K-2 and K-3 will add a total of 8,800 megawatts by 2030 as envisaged by the atomic energy commission.All nuclear power projects were approved by the Pakistan Nuclear Regulatory Authority for the highest nuclear safety standards in accordance with International Atomic Energy Agency agreements. Nawaz Sharif wants dialogue with India over Kashmir?